Skiing doesn&apos;t have to be hard work. For all the parents I see battling it out in the "wintery mix" back East, there&apos;s hope. 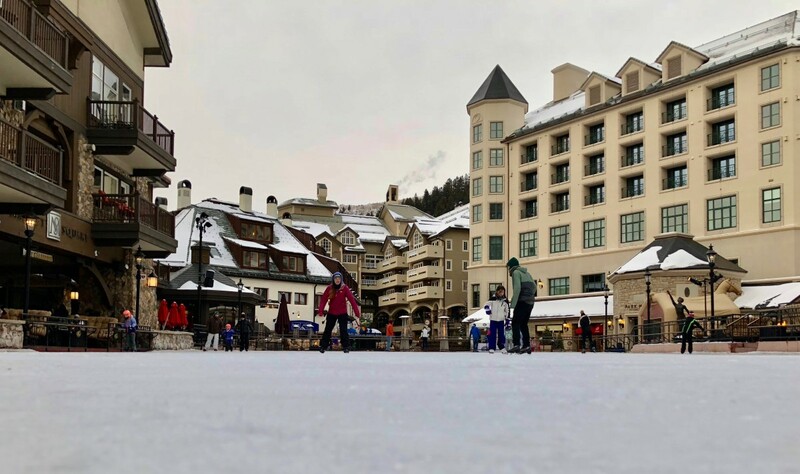 Right now you may be at a crowded ski lodge and on icy slopes, listen carefully...Beaver Creek is the answer to your prayers. Friends, stop listening to all the whining and plan a Beaver Creek family ski trip. Beaver Creek Resort it nestled within the White River National Forest. It&apos;s a haven for working parents that want the best of the outdoors without the "roughing it" experience. You can have pristine powder and fine dining, and you know what ski mom? You deserve both. Since there&apos;s so much that goes into planning a great family ski vacation, I always split my reviews in two. First, I cover the off-mountain fun, and then I follow-up with ski specifics. Then you can head here to read more about navigating the ski hill. Let&apos;s start with the flavor of Beaver Creek and basic trip planning. First, the overall essence of Beaver Creek: I&apos;m going to go ahead and say it, it&apos;s a little fancy. You&apos;re going to spot loads of designer ski gear and hear lots of foreign accents. This is a ritzy international destination. But unlike Aspen, it&apos;s also incredibly family friendly. The activities, lodging and mountain are designed to make life on snow a delight for all ages and all levels. 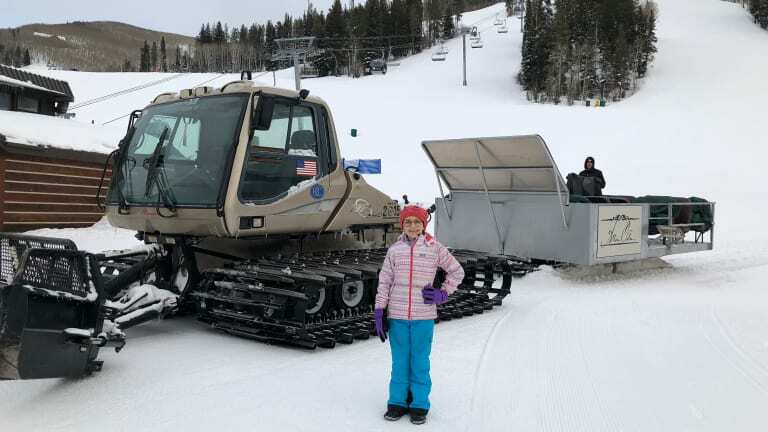 For families that want to mix their ski vacation with off-mountain fun, this resort can&apos;t be beat. That&apos;s why families entrust their precious winter vacations to Beaver Creek time and again. Let&apos;s start with the snow. 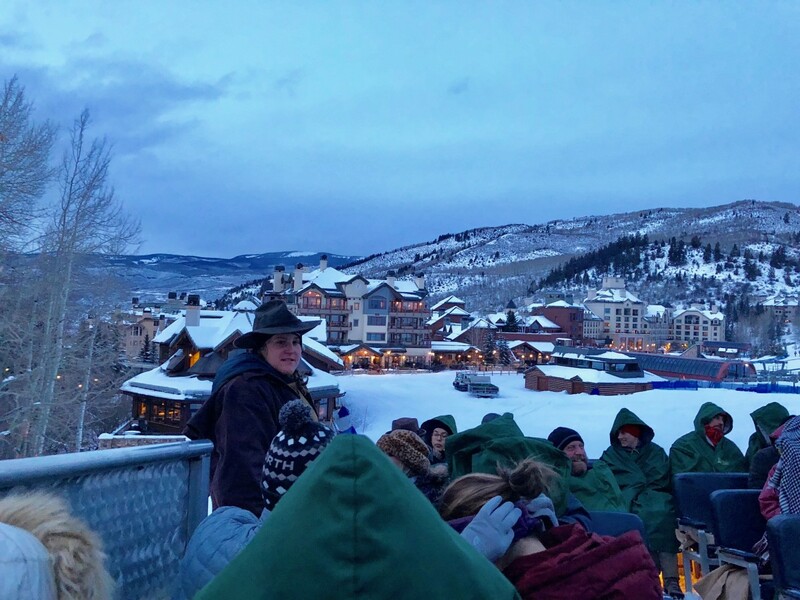 Beaver Creek gets reliable snow, often over 200" a season (this season they are a little behind) which makes trip planning less stressful (Tip: they tend to get snow later than other Colorado resorts since they sit at a slightly lower elevation - the base is 8100ft.). But in addition to the excellent snow quality, they also provide excellent quality of life at their resort. 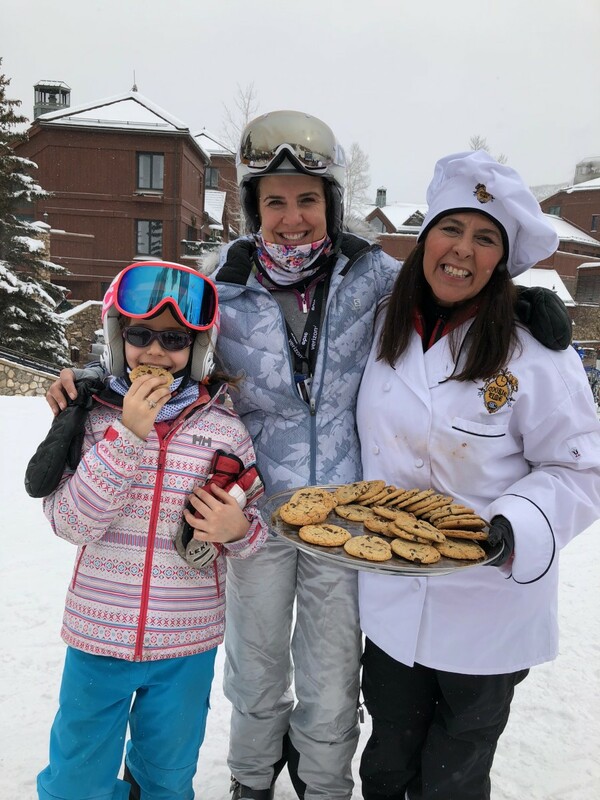 One of the things EVERYONE remembers about Beaver Creek is cookie time. You&apos;ll know you picked the right resort to keep the kids happy when you smell them coming! Cookie Time at Beaver Creek is an institution. Every afternoon at 3 p.m., the silver trays arrive with their chocolately goodness. It&apos;s the perfect reward after a great day of skiing! Remember, bribery is a ski mom&apos;s best friend! This is just one example of many of how Beaver Creek is aiming to win you over and keep your family coming back. Cookies are just one of the lovely features of the village. The stroller-friendly set up is ideal for young families. When you are ready for some time off the mountain, you can be sure there&apos;s something going on in town! There&apos;s world-class shopping at the boutiques and art galleries. If shopping with kids isn&apos;t in the cards, there is a ton of family entertainment. When we were there, we saw a dinosaur show going on in addition to a winter carnival and, of course, the ice rink. Escalators, wide sidewalks and plenty of seating make the village easy and fun to navigate. Since we are not big skaters, we decided to cuddle up by an outdoor fire and enjoy the show. We scored a comfy couch at the Toscanini Umbrella Bar. It&apos;s the perfect spot for après ski. Open daily from 3pm-9pm, it&apos;s a nice base for families after skiing and before dinner. My daughter sipped a hot cocoa, while I enjoyed a glass of chianti. 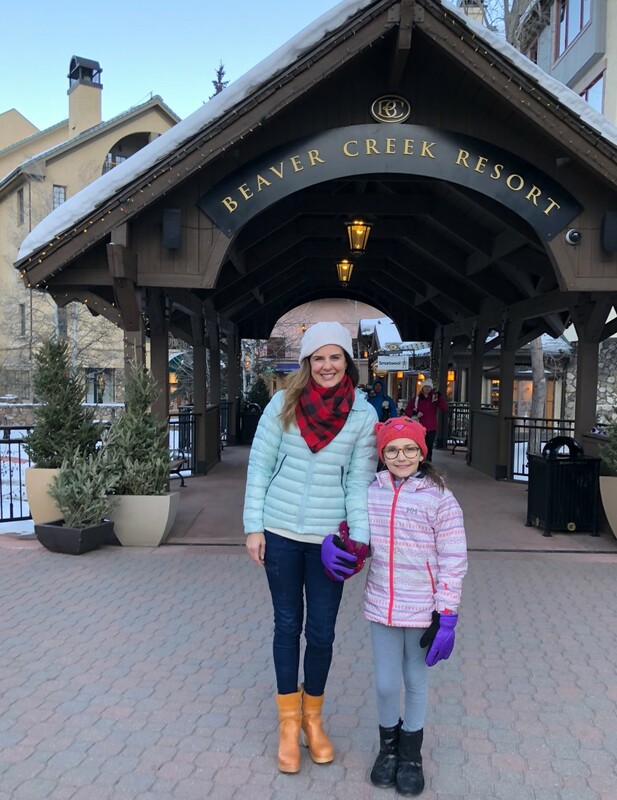 A big part of our trip planning involves food - Beaver Creek definitely is a foodie haven. While many condos have full kitchens, I highly recommend a night off from cooking to sample the excellent dining options at Beaver Creek. Again, unlike Aspen, kids are the norm at the restaurants in town. Most spot are all too happy to provide highchairs and children&apos;s menus. Why is it that Italian food tastes so good in the mountains? When I work up an appetite on the slopes, I just want to dive in to some pasta! Toscanini will not disappoint. No need to dress up, your apres ski clothes are fine (though we did spot plenty of chic, fur-clad European mamas in this restaurant). Kiddos will gravitate towards the pasta options (of which there are many). I convinced my daughter to try the burratta starter- she was sold on the cheesy goodness. My veal dish was delightful and the service was exceptionally good. The pace of the dinner was perfect too. With tired, hungry kids, it&apos;s an art to pace the service just right. You don&apos;t want to wait but don&apos;t want to feel inundated with food. This is an excellent choice for families who love good food! Memories aren&apos;t just made on the slopes and chairlifts. What you plan for Apres ski counts too. For our family, we always plan an iconic ski resort dinner when we travel. At Beaver Creek that would be dinner at Beano’s Cabin. And half the fun is getting there! Beaon&apos;s is named after pioneer farmer and restaurant namesake Frank “Beano” Bienkowski. Frank&apos;s name is honored with a truly luxe log cabin that can only be reached by skis or snow cat. 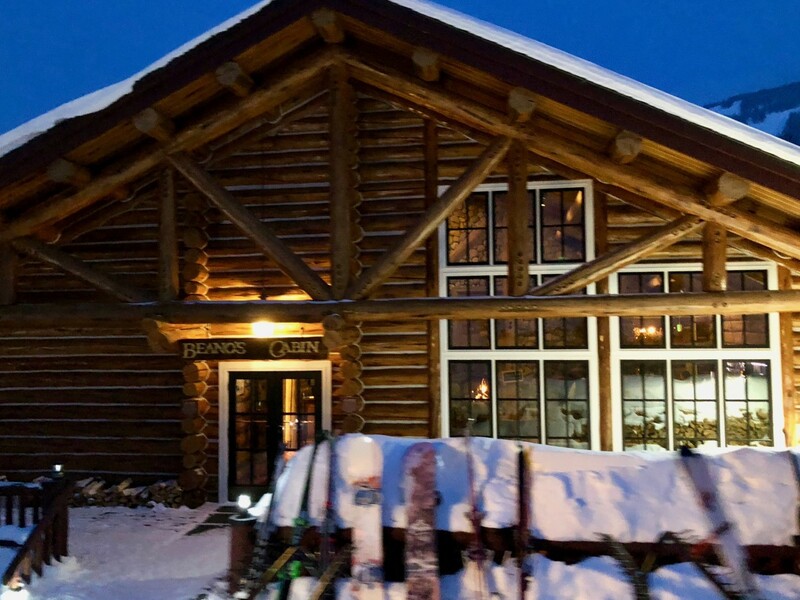 For this special dinner, we checked in at the Beaver Creek base at CBar. From there, we boarded up on our "sleigh" that was pulled by a snow cat. My daughter and I snuggled in under our big green capes as the sleigh climbed, up, up, up towards Larkspur Bowl. When the snow cat stopped, we headed into the cozy coat room to tug off our snow boots and put on slippers that the restaurant supplies. The dining room is mountain-chic. There&apos;s a roaring stone hearth, elaborate antler chandeliers and the strumming of an acoustic guitar. The five-course dinner is divine and hey, if you skied a full day you deserve the apple cobbler at the end! Don&apos;t miss the venison and the oysters! P.S. Mamas, since you don&apos;t have to drive home, you might as well treat yourself to something off the wine list. Tip: Dress warmly for the 20 minute open air sleigh ride! My daughter wore ski pants and then hung them up in the spacious coat room. There are oodles of options when it comes to lodging. You can go to https://www.beavercreek.com/ and pick from hotels, condos or luxury houses. There&apos;s an option for ever family, as long as you have a decent budget. This is NOT a value play, but remember, you get what you pay for and a Beaver Creek vacation is most definitely NOT about roughing it. In the past, we&apos;ve stayed at the Westin at Beaver Creek (be sure to check out the Westin spa if you go!) and we also have skied Beaver Creek while making home base at the Sonnenalp resort in Vail - the great thing about the Epic Pass is they make it easy and advantageous to move around. This visit we tried something new. On our most recent trip, we stayed at the The Osprey at Beaver Creek in a spacious hotel room. The Osprey is a mere 26 feet from the Strawberry Park Express. It couldn&apos;t be easier to get the kids on the hill! In fact, The Osprey boasts that it&apos;s the closest hotel to a ski chair lift in North America. Our room was comfortable and had plenty of space to stash our ski gear. The decor was modern and tasteful without feeling fussy. 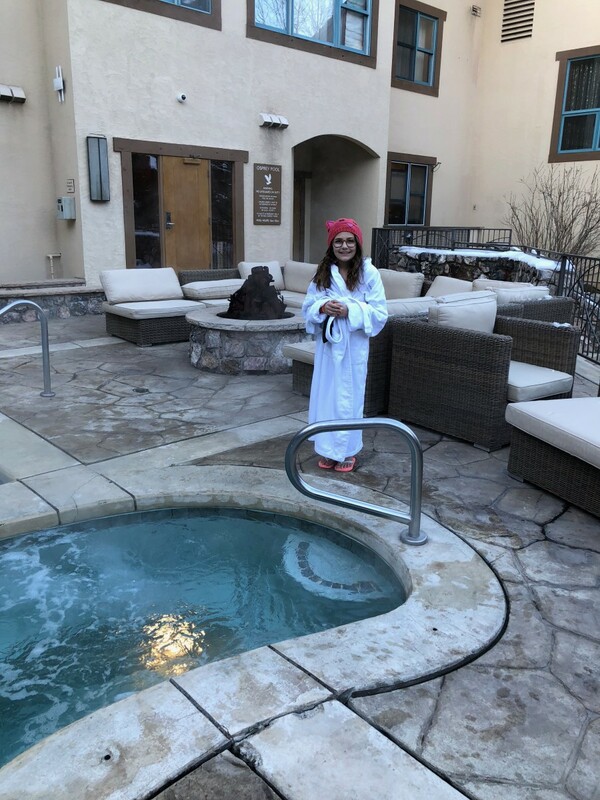 There&apos;s a sizable bar and lounge area for apres ski and the hotel has a small heated outdoor pool and hot tub to soak weary legs or to let the kids play. There&apos;s also a tiny but functional fitness room and a sauna and steam room. Breakfast at the hotel was served promptly by a friendly young staff. What the breakfast lacked in WOW appeal (what can I say, after you&apos;ve eaten a Sonnenalp breakfast buffet, it&apos;s hard not to compare!) they more than made up in staff knowledge. The breakfast crew was full of helpful ski advice: from where to start the ski day, to where hidden powder stashes were, to best spots to eat. Just ask and you&apos;ll get an educated answer. TIP: Ask the servers with the best goggle tans, obviously they spend the most time on the mountain! My favorite part of The Osprey? Their ski valet. As we finished our ski day we had to walk 5 feet to drop off our skis. If you have tired kiddos, this is a such a bonus. The valet guys are super friendly and will have everything labeled and organized for the morning, making getting off to lessons a breeze. As we shared, there&apos;s really no reason to drive once you get to Beaver Creek. If you pick a spot in the village (and you should) skip the rental car. I advise taking Colorado Mountain Express from Denver&apos;s airport. It&apos;s about 2 hours from airport to resort, we find it&apos;s a great time to nap! On the the way back to the airport from Beaver Creek, the express will stop by a Starbucks that&apos;s about half the distance to the airport. The shuttle is clean, comfy and the way to go! Get more tips on planning your perfect ski trip! This Plan a Beaver Creek Family Ski Trip feature is not sponsored. We were partially hosted for the travel experience. We paid for flights, and some of the other travel expenses. Beaver Creek took care of some aspects to facilitate the review.